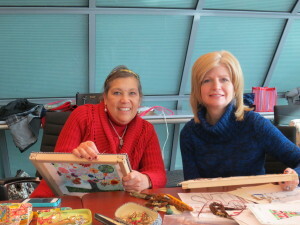 If you are new to needlepoint… not quite sure what it’s about… just view our gallery of photos to see what enjoyment the stitching of needlepoint projects can bring. The Colorado Columbine Chapter of the American Needlepoint Guild holds monthly meetings in Denver that are open to all interested stitchers. CLICK HERE TO SEE PAST COLORADO COLUMBINE ANG EVENTS! Barb G’s beautiful piece for a granddaughter. Join us any time to see what the fun is all about! 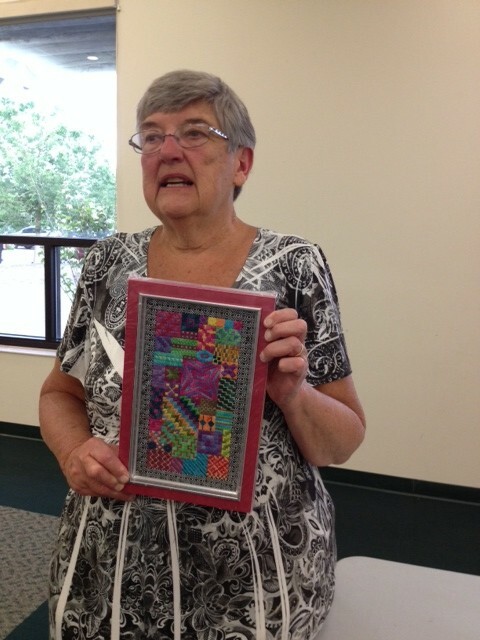 Our very own resident needlepoint designer and artist has reviewed two wonderful books for our stitching libraries! 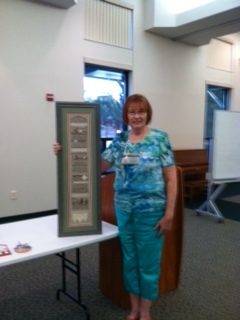 Jennifer R. is a certified NAN judge and needlepoint creator whose work is shown and taught nationally. Both books were reviewed as part of her NAN Judges’ Certification process. 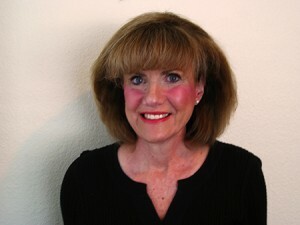 Author: Janet Edmonds. Methods of construction for the third dimension. Batsford, London, England, 2009. Don’t forget to buy threads for the Laura J. Perin design, ‘Independence Day,’ which is to be stitched starting with the June 16 regular meeting! Bring your latest and greatest show & tell items! And don’t forget to check out our ADVERTISERS, linked above, and do your shopping locally. We all love our shops and the instant access they give to needed supplies! Members of Colorado Columbine ANG visit the tapestries at the convention center. They’re gorgeous, they’re on public display and they’re ours! 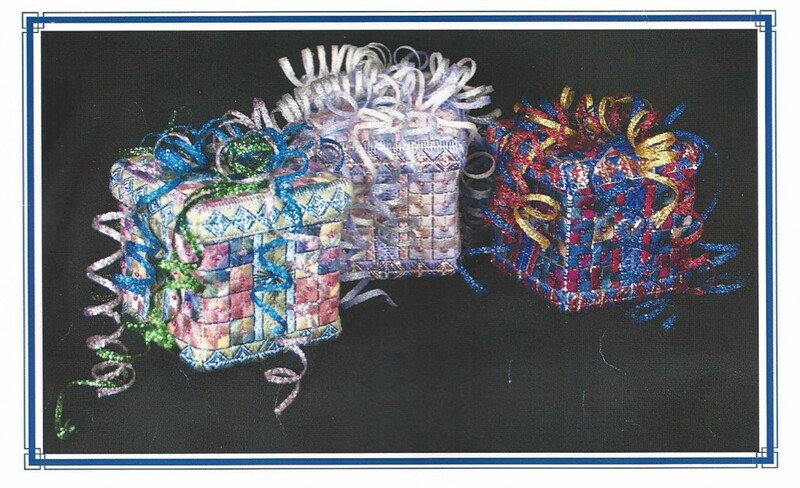 The needlepoint masterpieces created in 1991 by the Colorado Columbine Chapter of the American Needlepoint Guild are still as stunning and vibrant as they were upon creation. 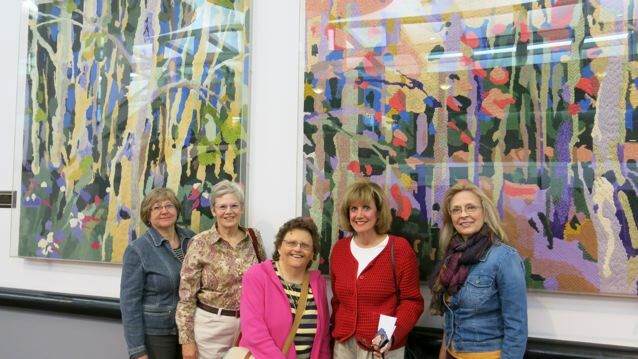 The tapestries have been on public display, a gift to the city of Denver from our guild, for 20 years now. 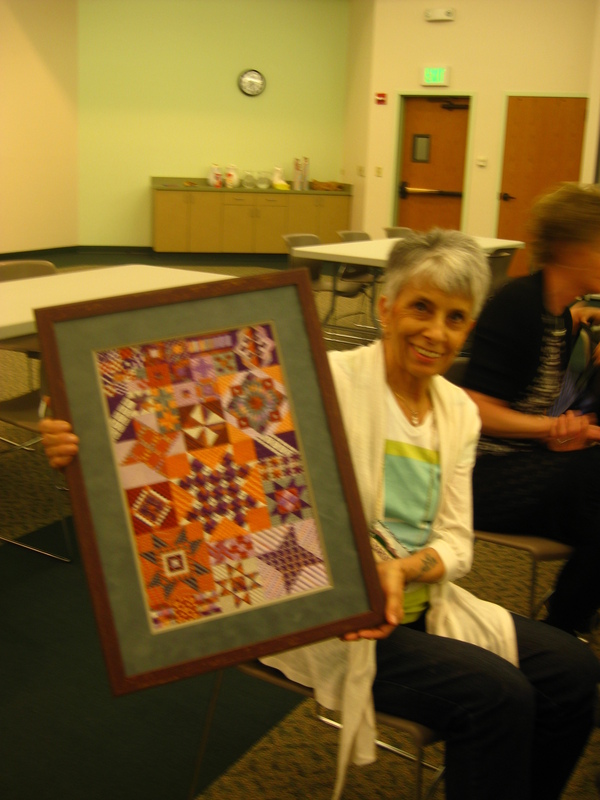 The triptych of magnificent designs by artist William Hook were interpreted in beautiful colors of wool yarn and stitched by our members. 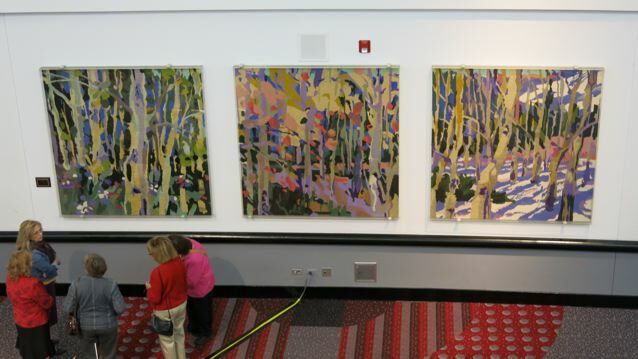 Each panel is 6’x 6′ — a vast surface on which to stitch, and every inch of each panel is a blend of colors to depict the three seasons and aspen trees in the original art. Viewed from afar, the designs create beautiful seasonal scenes in a blend of colors, textures and reflection of light. 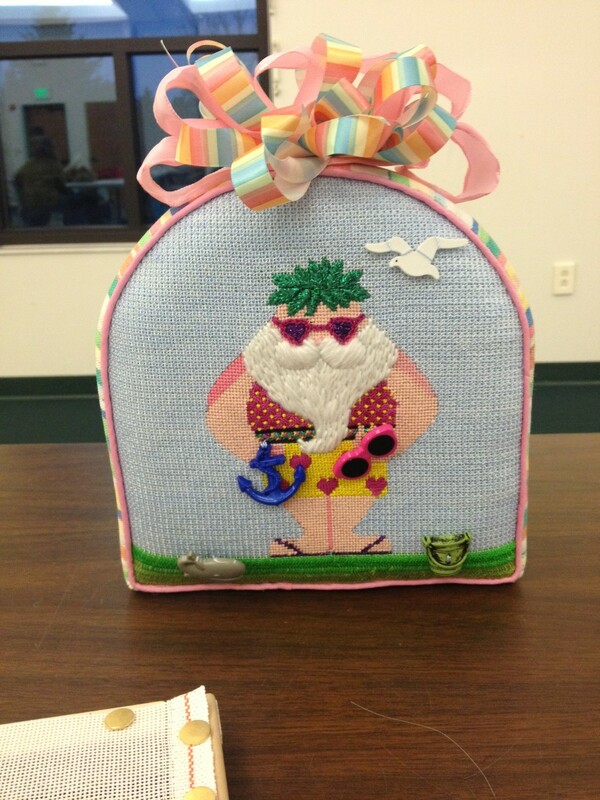 The view close up is vastly different and shows the skill and artistry of the stitchers. 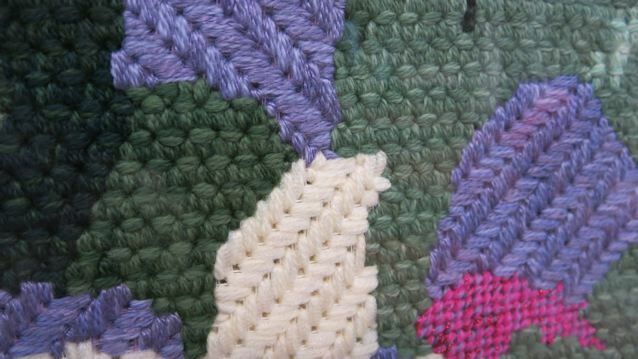 Below, see the textures afforded by the different stitches. Basketweave is clearly evident, but also see how the long, vertical stitches bounce the light. 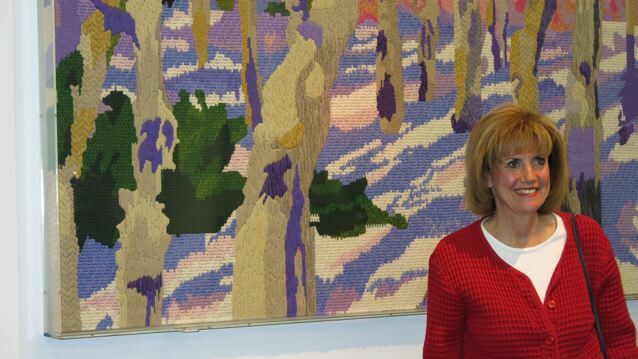 CCC-ANG member Caela Conn Tyler spent many hours selecting just the right threads and blends of colors to maximize the effect in the exact lighting in which the needlepoint tapestries would hang. There is a plaque nearby commemorating her contribution and that of our guild. Let’s see more close-up views in these photos, taken by Cynthia L…. 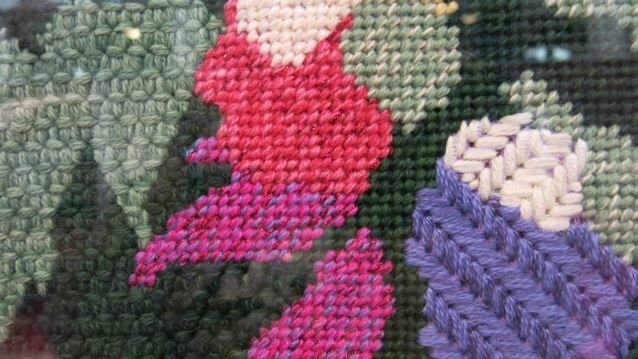 Closeup image of needlepoint stitches. 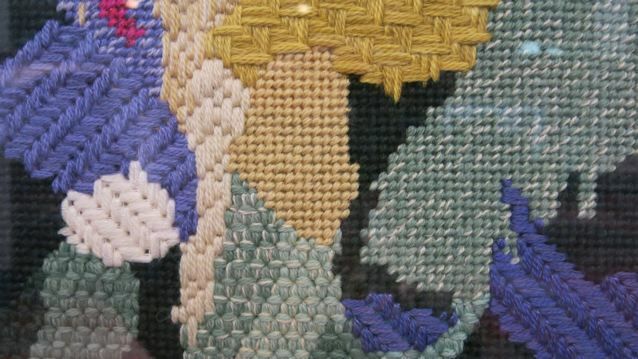 Closeup image of needlepoint stitches. President Lea K. who organized the trip. Our thanks to our president, Lea K., for organizing our field trip to the Colorado Convention Center. She was curious enough to honor past members’ monumental contribution to our city by taking a trip to view them in person. 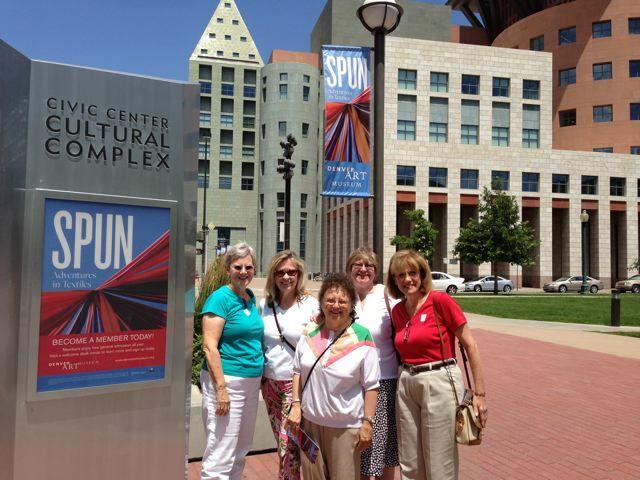 Also, thanks to Erin Knight of the Colorado Convention Center for giving us the tour and making the visit special by sharing stories of interesting events in the ballroom. And many thanks to photographer Cynthia L. for providing these wonderful photos of our trip. Most of all, thank you to the current and former members of the Colorado Columbine Chapter of the American Needlepoint Guild for producing such a magnificent and memorable work of public art. 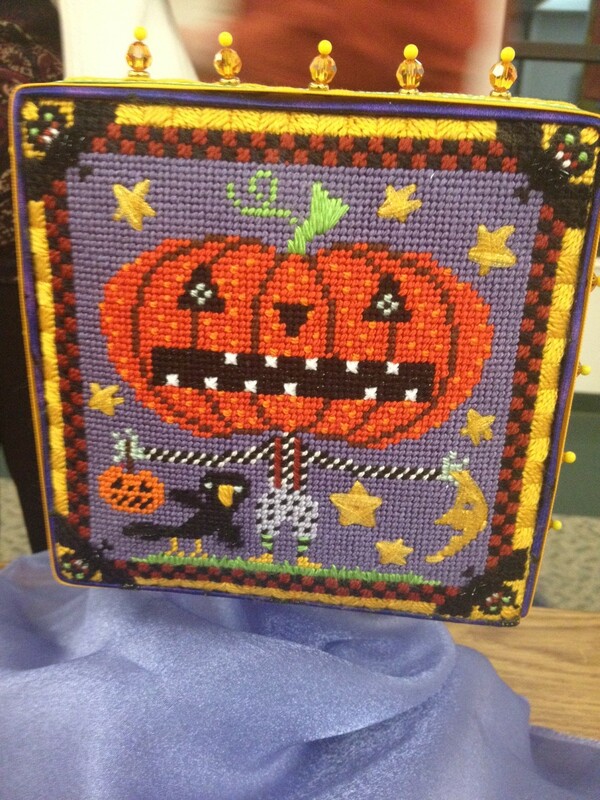 Needlepoint still glorious after 20 years. 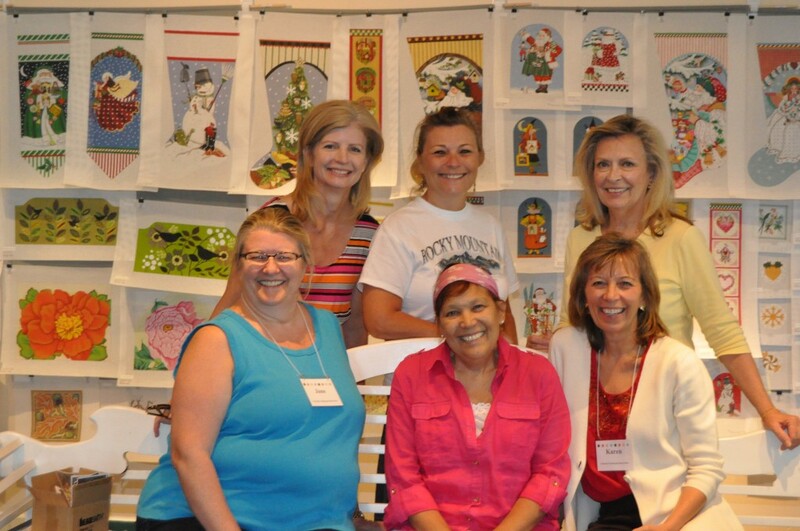 Denver-area needlepoint stitchers will want to know about the Colorado Columbine Chapter of the American Needlepoint Guild, where we are all about making lifelong friends. Our common interest in doing needlepoint becomes an addictive pleasure that’s enhanced by getting together to savor others’ needlepoint projects. The thrill of finding a new canvas design and selecting beautiful needlepoint threads and yarns with which to decorate it is a feeling known to all needlepointers. And we like to share that thrill — if you are a beginning stitcher, no worries! 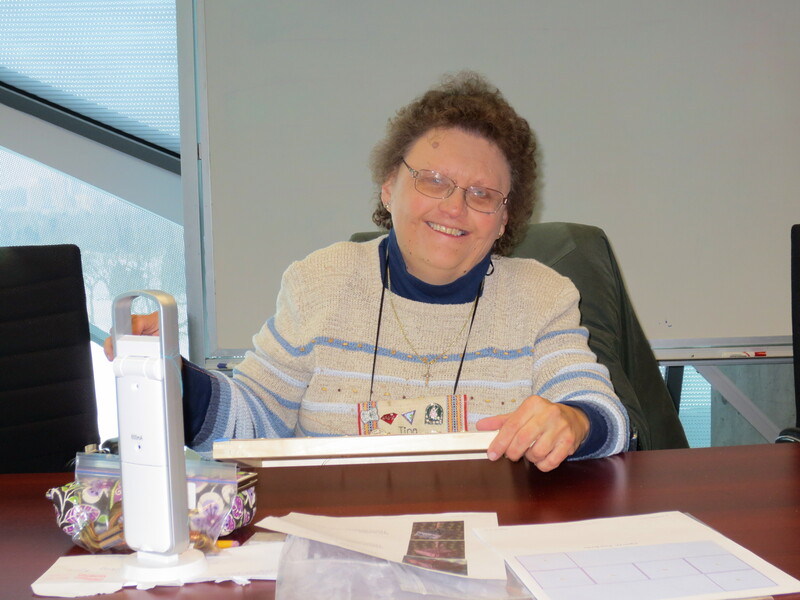 You will find a welcoming and encouraging group of enthusiasts at Colorado Columbine. We take a summer break from our monthly meetings in August, but will meet up again on September 16 for our regular chapter meeting at Bethany Lutheran Church. Check out our Facebook page HERE. Also in September, starting Friday, Sept. 6 and continuing Saturday & Sunday, Sept. 7 & 8, is the COLORADO NEEDLEPOINT ROADSHOW! hosted by Jill Likes, owner of The Needlepointer in Everett, WA and Karen Barton of The Pine Needle Shop, Custom Needlepoint Finishing in Castle Pines. 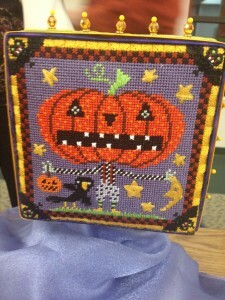 This is a first-time needlepoint event in Colorado and is a full-on celebration of needlepoint. It is to be held at the Castle Pines Community Center, 7404 Yorkshire Drive, 80108. The three-day format allows plenty of time for shopping — there are many designers participating, bringing ‘trunk shows’ and new threads and hand-painted canvases. On Friday, there will be classes in thread painting, ribbon stitching and beading and opportunities to chat with experienced stitchers. On Saturday, a full-day class on a Melissa Shirley design will incorporate some of the techniques you can learn on Friday. 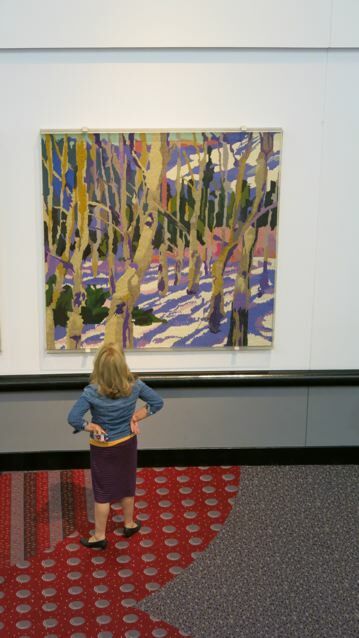 So plan to stop by on any (or all) of the three dates in September — bring a piece to stitch or start right in on a new canvas you’ve selected from all the designers on offer at the Colorado Needlepoint Roadshow. 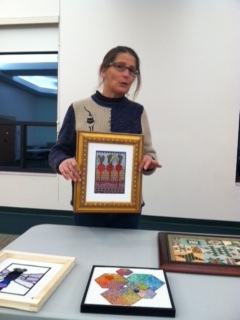 Find out more details HERE and see some amazing needlepoint canvases that will be at the show!